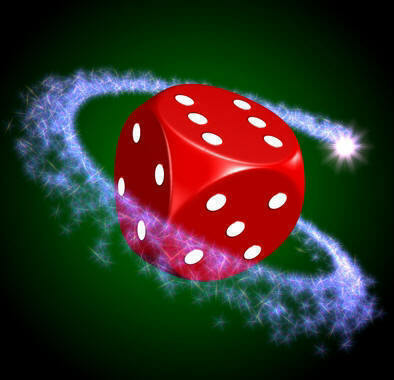 We are a group of experienced webmasters who have been involved in promoting the gambling industry since around 1997/8 and who decided to operate a group of gambling related reviews websites, based on personal experience, insider knowledge and players experiences and comments. We try to explain in simple language what to look for, what to avoid and what not to do to help keep gambling on the internet a safe, transparent and honourable industry. We abhor the get rich quick brigade who give the industry a bad name as we know that online gaming is here to stay as long as we can successfully self regulate, and we can do that with your invaluable help. How do we choose the brands we offer? § Integrity - There is a good enough profit to be made whilst keeping to a very small percentage of winnings for the house. We know that the house always wins in the long run, but we believe that it should be in the long run, not as a short term rip off tactic. § Support Service - You need to have your questions and concerns answered promptly. We carry out anonymous checks on the support services of the casinos we review to make sure that the support offered to every player lives up to our expectations. § Interface - There are many players who are new to the internet and may be worried that if the press the wrong button or do the wrong thing that they may end up being led into actions that they neither intended nor want. We think that interfaces should be easy for any novice or experienced user to manage. § Bonuses - Casinos make a profit. This is a fact, however, we applaud and promote those who give a certain percentage back to the player in the form of bonuses. We like the system. It is true that various casinos compete to offer bigger and better bonuses than their competitors, but we think that this can only benefit the player and we will help pass this information along. § Payouts - Payouts should be fast and trouble free. It is that simple. 'reasonableness in all things' In other words, to have a drink is ok, to drink all the time is not, to enjoy a flutter in a casino is ok, to be there all the time is not. § Security - There is no need for anyone's information to be open to abuse on the internet. Encryption technology today is fantastic. As long as systems are properly put in place to protect the consumer then gambling on the internet should be as safe, if not safer than being in a real casino. No one will be waiting at the door as you leave to relieve you of your winnings. We appreciate any comments regarding your experience in our offered casinos - good or bad. We would also like to hear about your winnings or losses and any other experiences that you think should be made public regarding any casinos online which you have joined and gambled in. It is from the experiences of real players like yourselves that we are able to build up an accurate and honest review system to benefit the online gaming community. We are also interested in your experiences of payment gateways, the speed with which they respond to your queries or concerns and the overall ease with which you are able to carry out transactions within different casino's. We all know how frustrating it can be when you feel a lucky streak is with you and you are unable to act upon it for any reason beyond your control. We want to be able to point people in the right direction to avoid the pitfalls which can be avoided with a bit of honest and simple advice. We would like to wish you a pleasant gambling experience and plenty of good luck!